Mutual Fund Resources - Regulators and Organizations, Canadian Securities Administrators, MFDA, IIROC Dealers | Fundata Canada Inc.
A comprehensive list of securities regulatory bodies, industry associations and educational resources in the Canadian mutual fund and financial services sector. Read the descriptions and click on the web link to the appropriate organization. The Canadian Investor Protection Fund (CIPF) was established by the investment industry to protect investors by returning their cash and securities, within defined limits, should an investment dealer go insolvent. The Investment Industry Regulatory Organization of Canada (IIROC) carries out its regulatory responsibilities through setting and enforcing rules regarding the proficiency, business and financial conduct of dealer firms and their registered employees and through setting and enforcing market integrity rules regarding trading activity on Canadian equity marketplaces. The Mutual Fund Dealers Association of Canada (MFDA) is the national self-regulatory organization (SRO) for the distribution side of the Canadian mutual fund industry. The MFDA regulates the operations, standards of practice and business conduct of its Members and their representatives with a mandate to enhance investor protection and strengthen public confidence in the Canadian mutual fund industry. The Ombudsman for Banking Services and Investment (OBSI) is Canada’s independent dispute resolution service for consumers and small businesses with a complaint they can’t resolve with their banking services or investment firm. The Ontario Securities Commission (OSC) administers and enforces securities law in the province of Ontario. Their mandate is to provide protection to investors from unfair, improper and fraudulent practices, and foster fair and efficient capital markets and confidence in capital markets. The System for Electronic Document Analysis and Retrieval (SEDAR) is the system that public companies and investment funds use to file public securities documents and information with the Canadian Securities Administrators (CSA). The Canadian ETF Association (CETFA) is an association created to provide information, education and access to resources on ETF investing in Canada. Our goal is to be the knowledge source for everything ETF in Canada. The Canadian Institute of Financial Planners (CIFPs) is a non-profit association of Canadian Certified Financial Planner® professionals. The association is an independent, effective, and powerful advocate for the CFP certification marks and the financial planning profession in Canada. The Canadian Investment Funds Standards Committee (CIFSC) was formed by Canada's major mutual fund database and research firms with a self-imposed mandate to standardize the classifications of Canadian-domiciled mutual funds. The Canadian Life and Health Insurance Association (CLHIA) is a voluntary non-profit association with member companies accounting for 99 percent of Canada’s life and health insurance business. The Emerging Managers’ Board (EMB) is a non-profit organization whose mission is to promote and contribute to the growth of Canadian emerging managers. It strives to educate asset allocators and investors about the benefits of investing with local talent. 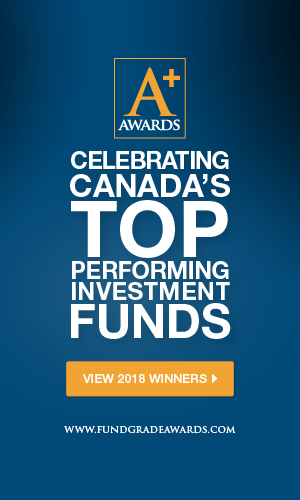 The Investment Funds Institute of Canada (IFIC) serves as an information-sharing body for the industry that also advocates on behalf of the industry and its investors, helping to ensure that their voices are heard by regulators and policy makers and have the knowledge, tools and guidance they need to comply with changing requirements. The Responsible Investment Association is a national, membership-based organization composed of financial institutions, mutual fund companies, investment firms, financial advisors, and various organizations and individuals who practice and support responsible investing. FundLibrary.com is a financial resource website targeted to investors and financial professionals seeking reliable investment information at the click of a mouse.